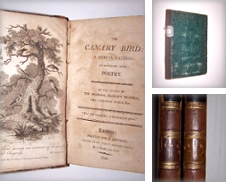 Do you have an old or antiquarian book and would like know its value? You might think it's a rare and valuable book but don't know where to find its value? One very simple method of finding an approximate value of a book is to search for similar copies on AbeBooks.com and see what prices are being asked. AbeBooks.com is an online marketplace for new, used, rare and out-of-print books, and we have millions of secondhand and rare books listed for sale by booksellers around the world. 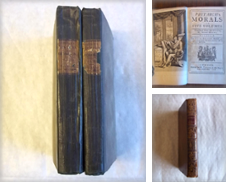 Well known to book collectors and booklovers, our site is an excellent resource for discovering a rough value of an old book. AbeBooks has been part of the rare book world since going live in 1996. When searching on AbeBooks.com it's important to find copies that match the book in your possession as accurately as possible. Search carefully and avoid spelling mistakes. Please provide at least one of author, title, keyword, or publisher. Option: Enter a price range to help narrow your results. Use the search box above - begin by completing the title and author fields. Look inside the book and identify the book's publisher - complete the publisher field but leave out terms like limited, company or press. If possible identify the book's date of publication. Complete the date fields - if you have identified the exact year of publication then put the same date into both fields. If you are unsure, you may to wish to search for books between two defined dates - eg 1870 and 1880. Indicate whether the book is hardcover or softcover. If the book is a hardcover and has a dust jacket then tick the relevant box. If the book is signed by the author, tick the relevant box. If the book was published in 1970 or later, then you could search by the ISBN number alone. The keyword field is useful if you know the illustrator's name or some other defining aspect like the book's binding (perhaps it's leather or cloth). The search results will be presented by the lowest price first. Scroll through the listings and read how the booksellers have described the books. Look for a listing that is similar to your book. Please remember that an old or antique book is not necessary valuable just because it's old. Common books like the works of William Shakespeare, prayer books, bibles and encyclopedias were printed in huge quantities during the Victorian era and usually have little value. AbeBooks is very useful for finding an approximate value of a book but don't use that value for insurance purposes. If you really need a documented estimate of a book's value (for probate or insurance purposes) then visit your local rare bookshop and pay for a formal appraisal. Condition is very important and will greatly influence value. A beaten-up old book that is falling apart will have little value. First editions are sought-after by book collectors and a first edition is usually more valuable than a later printing. A first edition signed by the author will have even greater value. 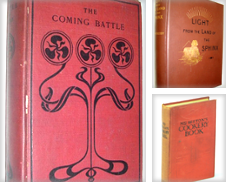 For hardcover books published from the 20th century onwards, the presence of a dust jacket and its condition also greatly affect value. 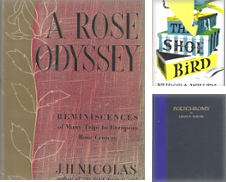 If you are having difficulty understanding some of the terms used by rare booksellers, refer to our glossary, which also includes a guide to used book conditions and book sizes. Video: How much is my old book worth? Do you have a valuable book in your collection?